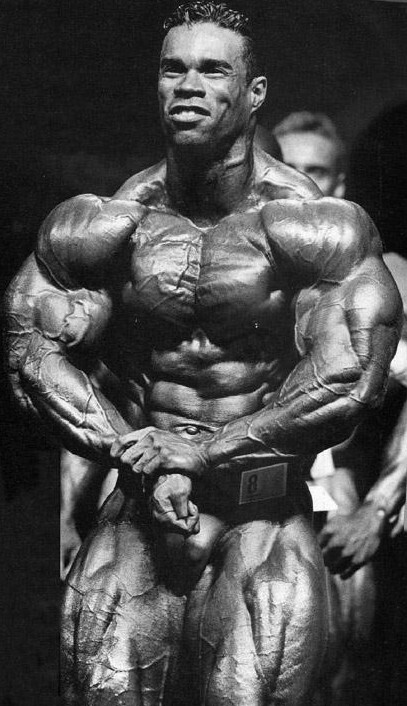 In his bodybuilding magnum opus and possibly the greatest weight training reference ever written “Keys to the inner universe” the legendary Bill Pearl listed an incredible 300 plus tricep exercises. All these movements from this encyclopedia can be distilled down to the five best tricep exercises which will cover all the bases including strength and hypertrophy. Some may disagree with the precise exercise selection but all these movements have proved their worth and packed meat onto the back of many arms. In addition some have been excellent assistance exercises for strongman competitors and powerlifters. There’s no better way to build gigantic arms – and a bigger bench. The Tricep Brachii has three heads which connect the humerus and scapula bones to the ulna. These three heads are known as the lateral, medial, and long heads. The lateral head is located on the outward facing side of the humerus. This head gives the muscle its horseshoe shape. The triceps can be stubborn gainers for some trainees but generally respond well to a rep range between 8 and 12. For me the king of tricep exercises. Muscle stimulation analysis has shown how effectively this movement recruits all 3 heads of the tricep. Additionally it develops the pecs better than the bench press does for the majority of trainees. Done heavy for moderate reps Weighted Dips build massive upper body strength. The author was only a reasonable bencher but worked up to performing 6 dips with 90kg attached at a body weight of 104kg some years ago. Indeed it is a more than competent alternative for long armed individuals who have problems with the bench press. Trained for hypertrophy in the 8 to 12 rep range it really hits the belly of the tricep. Done to the limit weighted dips are hard and the effects can be felt throughout the entire upper body – especially with the addition of serious weight. Its a shame but no wonder that you see so few trainees in the gym utilising this exercise as it is without doubt one the best tricep exercises, if not the best. As with any brutally hard move that tests your intestinal fortitude – the reward is well worth the effort invested. This is my second favourite of the best tricep exercises and I frequently alternate this with Weighted Dips as my primary tricep builder. This move also recruits all three tricep heads and will put serious meat on the back of your arms. The Narrow Grip Bench Press is much harder in terms of weight that can be used than the bench press as pectoral and deltoid recruitment are somewhat reduced. Additionally going too narrow on the grip will put excessive strain on the wrist so this may require experimentation. Generally for most trainees the grip will be with the index fingers on the smooth part of an standard Olympic barbell. In order to perform this exercise lay on a bench with a loaded bar in the racks. Straighten your arms to lift the barbell off the rack. Position the bar so it is at arms length over your chest. Lower the barbell until it touches your lower chest / upper abs, then press the bar until it is locked out at the starting position. As you lower the bar keep your elbows tucked in close to the sides of your body. 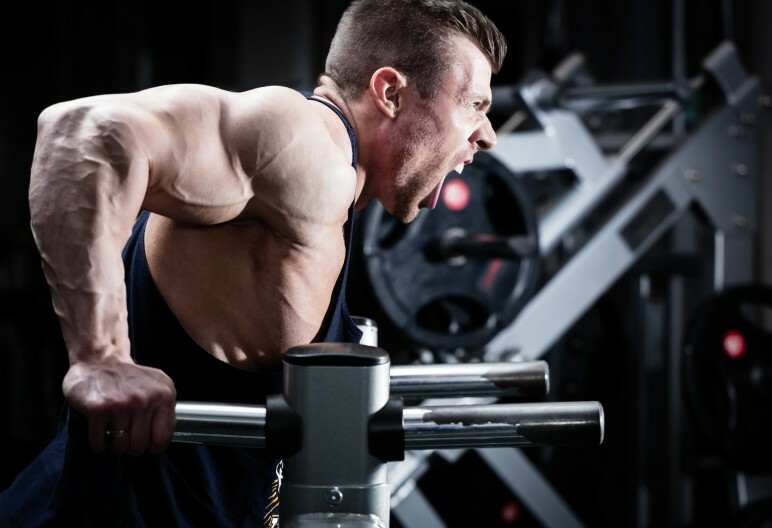 One of the best tricep exercises for developing strength, the JM Press is an exercise originally created by John Mark Blakley, an American powerlifter who specialised in the Bench Press. He apparently attributed the majority of his triceps strength to the JM Blakely” Press. The name itself “JM Press” however was actually coined by Louie Simmons and George Halbert at Westside Barbell. It remains a popular exercise for many powerlifters especially those who train with Westside Barbell principles. The JM press is performed with a barbell using a narrow grip. lay on a bench while holding a bar at arms length with the elbows in as you would a close grip bench press. Now lower the bar down as if performing a lying triceps extension. As you exhale, press the bar back up by using the triceps to perform a close grip bench press (see video link above). I’m not a big fan of isolation exercises as anyone who reads my blog will know, however this one is my favourite, I prefer to perform Overhead Pulley extensions with a rope attachment and I like the pulley to originate from a point about a foot above my head when standing. If you have a decent load on the machine stack this can make getting into the start position of full extension a little difficult. Done correctly this movement provides a fantastic stretch on the triceps and it really hits the long head hard. This is without doubt one of the best tricep exercises for developing the long head. 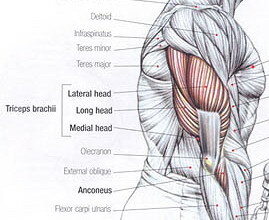 This exercise targets the Lateral (outer) head of the tricep. To perform Tricep Push Downs attach a bar or rope attachment to an overhead pulley. Stand in front of the pulley with your feet shoulder width apart. Grab the bar with a narrow overhand grip, bend your arms fully and tuck your elbows close to your sides whilst performing the exercise. Moving your forearms only push the bar down in an arc motion until your arms are straight. Hold this position and squeeze your triceps for a second to maximize the peak contraction – the rope attachment helps to isolate the muscle more and receive a much better contraction. Now slowly reverse to the starting position. This movement needs to be done strictly as it is easy to cheat and use body weight to assist. Leave the ego outside with any form of isolation movement and concentrate on your form to make it as strict as possible. This is not an exercise to go heavy on – pick a moderate weight. So there you have it – incorporate these five movements into your arm workout and watch your triceps grow. Ensure that you dial in your nutrition, train hard, ingest a decent protein supplement within an hour post workout and more importantly get adequate rest, or your efforts will be nullified. Disclosure: I get a small referral fee from Amazon and a few other companies on here if you purchase a product which I advertise or recommend. This helps to support my continued fitness and training information work. I will only rarely recommend products and when I do it will be those which I either use, or have positive evidence of their efficacy.